System Improvements Appreciation Day #3! We are celebrating our wonderful Accounting Department this week! TapRooT®’s team of super smart accountants do way more than any of us realize. They keep us going, ensure things get paid on time and do it all with an amazing attitude. 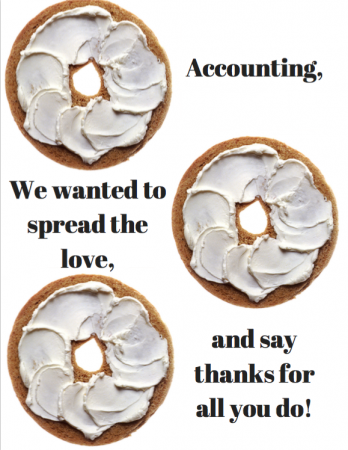 They deserve more than one day a year of appreciation, so we want make this one great with some Panera bagels! Join us in thanking Cherie, Liliya, Eric, Susan and Claire.